Assess your level of mental toughness, and learn proven skills to help you strengthen your confidence, focus, and resiliency. 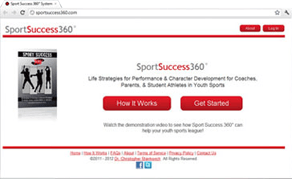 The world’s first sport psychology app designed to help you immediately improve your mental toughness and win more games. 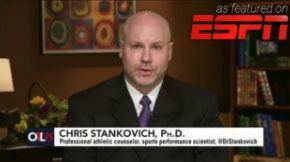 The Sport Performance Assessment (SPA) app was developed by Dr. Chris Stankovich to help athletes better understand the vague term “mental toughness” in order for unique, specific instruction to be obtained. The SPA app is the first app to offer athletes a way to self-test and learn how mentally strong they with focus, confidence, motivation, and resiliency, and provides helpful graphs and personalized feedback for ongoing development. Priced at about the same cost as a cappuccino, the SPA app is easy to use, convenient, and provides immediate user feedback. The SPA app collects performance trend data, allowing users to visually see their growth in mental toughness. Why stay back with the rest of the pack when you can take your game to the next level – check out the SPA today!